Looking for a Magic Bullet deal? Here’s one from Best Buy! 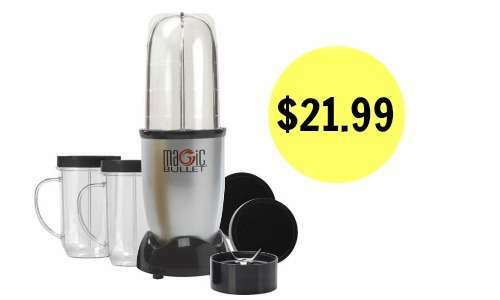 Right now they are offering the Magic Bullet blender for $31.99 (regularly $39.99). Plus, you’ll also get a FREE $10 Best Buy gift card when you purchase the blender. That makes it like getting the blender for $21.99!